Category: Gifts for the Professional. 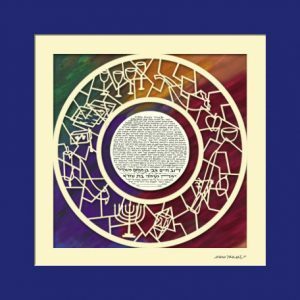 Tags: Blessing For A Business, Israeli Artist, Jewish Business, Judaica gifts, Judaica Paper Cut, Marci Wiesel, Papercuts. 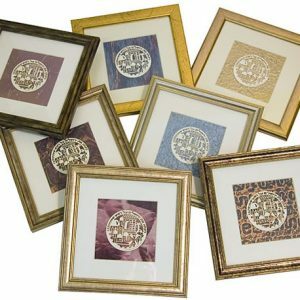 Looking for a meaningful gift for a Jewish business? 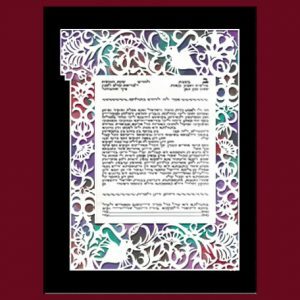 The beautiful words in this Judaica papercut beseech G-d to make your business a flourishing success. The tree in bloom has strong roots and vigorous supply of water nourishing it from its foundation. There are also pomegranates depicted, the special fruit of the Land of Israel. Pomegranates symbolize prosperity due to the abundance of sweet seeds they possess. 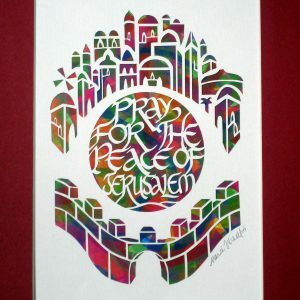 This Judaic papercut was made by Marci Wiesel, Israeli artist and business woman. May G-d bless this business with a blessing from Heaven. It shall be like a tree planted by the brooks and streams. Love, friendship, joy, and delight should dwell within it. Livelihood, good fortune, and health should be established there. May the Lord bless you and keep you. May He cause His countenance to shine upon you. 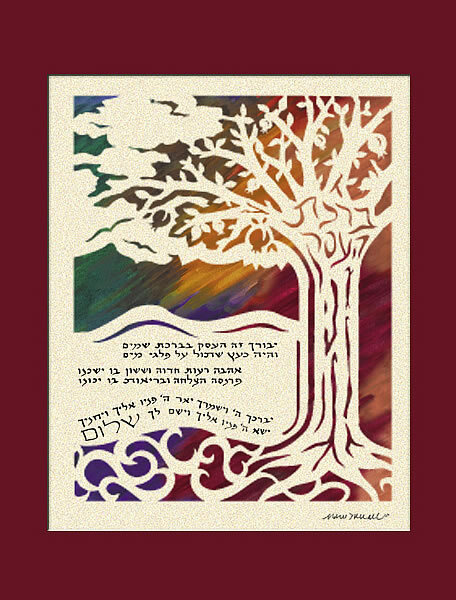 May G-d be gracious unto you. May He turn toward you with favor and grant you peace.